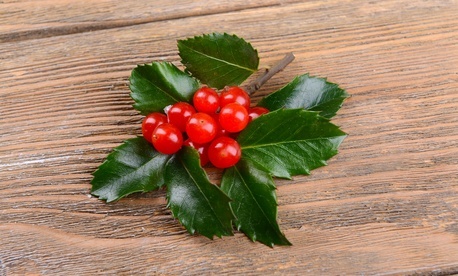 There's nothing like a mistletoe sneak-attack to bring holiday cheer into someone's life. At least, that's the belief behind restaurant chain TGI Friday's recent use of mistletoe-carrying drones in their establishments. And while the floating sprigs are a campaign to force romantic overtures among customers, late-night host Stephen Colbert suggests another use for them: Deploy an army of the remote-controlled robots to Iraq and Syria to combat the Islamic State. Plus: Science pioneer James Watson, co-discoverer of DNA, encounters some unfortunate financial troubles, Christmas presents for 2016 fanatics hit the shelves, and the St. Louis Rams take heat from a police association in Missouri.